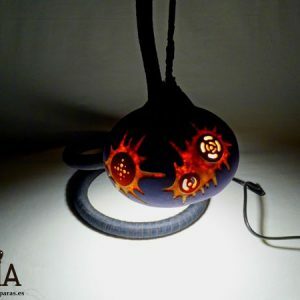 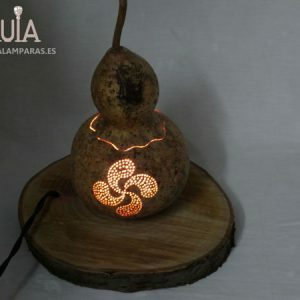 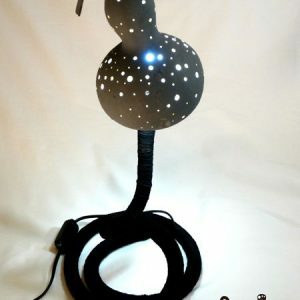 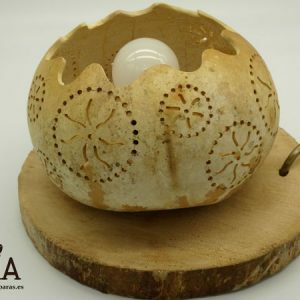 A Beautiful children’s table lamp made with gourd. 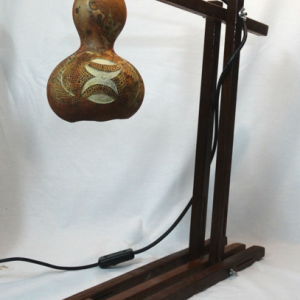 It has been carved by hand with a properly grown pumpkin. 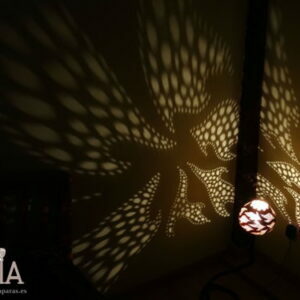 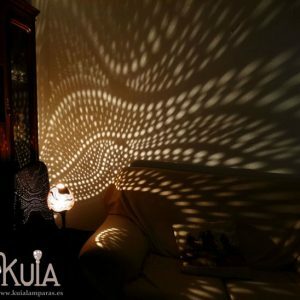 This decorative lamp is designed to warmly illuminate a child’s room. 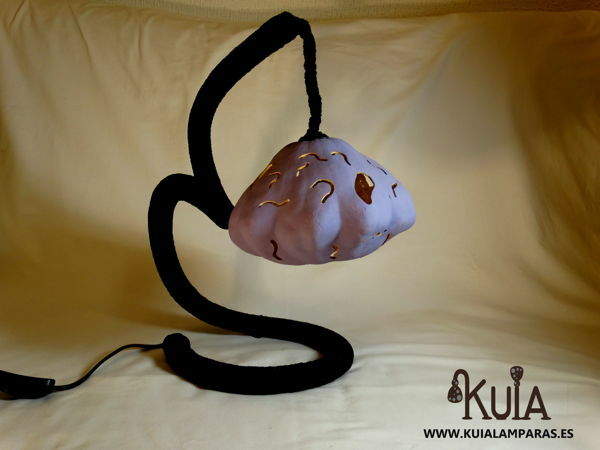 The pumpkin tulip is painted in a clear blue, always thinking in attractive colors for children. 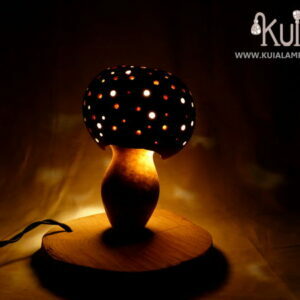 The base is flexible and is covered with a black cloth.